Tom is one of my mentors and I follow what he’s doing closely to learn from a pro in apartment building investing. Here’s a video 3fer with Tom on why now is the time, if you have any contrarian testosterone as he puts it (in other words you are a true value investor). See also my notes below with the exec sum in bold. 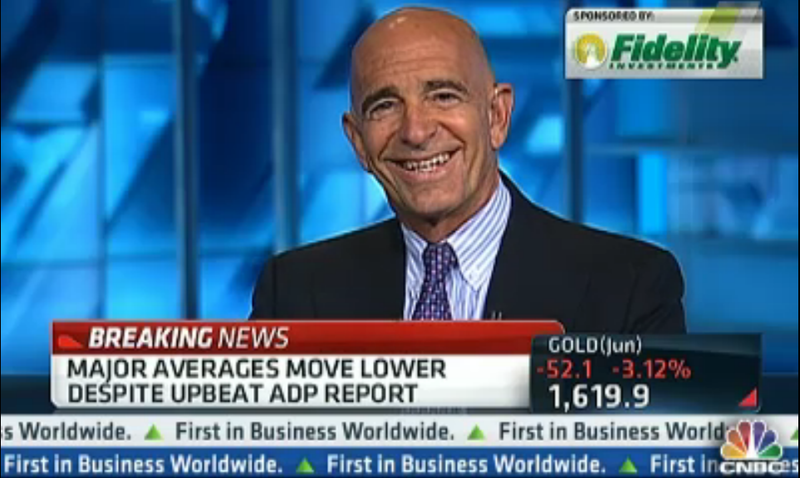 Stock markets rise and fall, but investors with a long-term view will make money, real estate investor Tom Barrack of Colony Capital is a “slow money guy”. 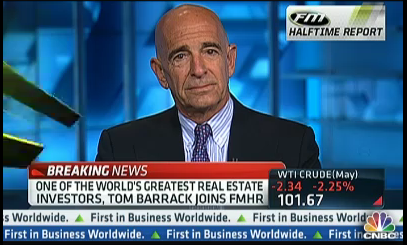 Barrack has $27 billion invested in real estate and $45 billion in assets around the world. Where I think we are is actually a great spot. The US has repositioned itself on a global basis better than any of its competitor nations have and that Americans are doing what they do best. They’re adapting, they’re moving, they’re defining good as survival. Which is where we need to be. At the very fundamental stage, especially in hard assets or real estate, I think it’s safe to say we’re probably at a cyclical bottom some place. Whether we’re at the very edge of the bottom or whether we’re coming on the downside or the upside, I don’t think anybody knows. What we need to do is go back to controlling only those things that only we can control and not worry about the things that we can’t control. So in these markets today, I think the answer is to stick to a business plan, capitalize on all-time low costs; interest rates are the lowest they’ve been, and the real estate sector supply and demand is probably the best point that it’s ever been. Fewer real estate assets have been built in the last decade than ever and occupancy is returning. I think it’s probably one of the best opportunities for those with a little bit of contrarian testosterone to invest. Now is the moment, not when the hers are running. I came out of a contrarian investment forum. I’m not smart enough to know what the fed is doing or not. All that I know is interest rates are at historic lows. that if you look at ten-year yields, ten-year interest rates, and any and any section of post-war history there’s never been a better time to be a borrower or a lower interest rate environment. 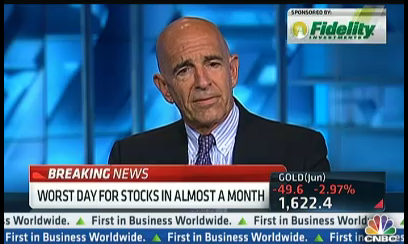 Which tells me interest rates are going to go up and inflation is going to come back. We have 15 trillion of debt year, there’s no way out the box for Europe. They’re going to print money, whether they say they will or they’re not. Pretty soon money is not going to be worth anything. assets will be worth everything. Fixed income on a long-term basis I think is a trap and mortgages are a difficult place. I’ve been following and learning from Tom since the RTC days and I recommend serious real estate investors do the same. For my Special Report on the thing Tom says is the most important send an email to giovanni@ashworthpartners.com with The Most Important Thing in the subject line. Previous Previous post: Now you can watch the Apartment Building Investing Cycle Unfold In Real Time- Much easier than deciphering technical stock charts!